These preschool Valentine Day crafts are easy to make. Kids can create Valentine projects to decorate your home. Most preschoolers enjoy giving Valentine cards or treats to their friends, and here are several preschool Valentine Day crafts ideas they could easily do. To make heart magnets, stamp hearts onto wood circles and let dry. Add magnets and they’re ready for gifts. Use craft foam hearts to make this easy heart pencil topper. It would make a great classroom gift or craft. Use wide strips of cardboard to make the crown, and plastic straws to attach painted cardboard hearts to finish a Valentine Heart Crown. Make an easy Valentine hat with red craft foam and red pipe cleaners. Glue a photo inside one bottle cap, and a message or heart inside another cap. Glue a ribbon between the caps for your bottle cap locket. This love bug pin is easily made with plaster of paris in a plastic spoon, and painted when dry. You need a gingerbread shape, a heart shape and markers to make a gingerbread heart pin. You could cut out your own gingerbread and heart shapes from craft foam. Use plaster of paris and a heart shaped plastic candy mold to make Valentine’s Day pins. Finish them with paint and glitter. Make a tissue paper stained glass heart. Cut the center out of a card stock heart shape and lay the heart frame on a sheet of contact paper. Place cut out tissue paper squares on the contact paper inside the heart. Hang in a window. Cut apart the egg cups from an egg carton and put them together to make this clever egg carton heart. Use beads and pipe cleaners to make hearts and attach them to each other to make colorful Valentine’s Day hanging hearts. Recycle newspaper into hearts and paint them red. Sandwich a string between two hearts (or cut hearts on a fold and sandwich the string in the middle) and repeat. Hang your hearts on a string. Use old newspapers to cut lots of hearts. Paint them red and add a letter to each spelling out I love you. Or add Valentine stickers. Hang on a string or piece of twine. Make enough for the heart bunting to go across one end of a classroom. Make and decorate lots of hearts of craft foam or cardstock (or use a cereal or cracker box and cover with paper). String the hearts together to make a heart garland. Make lots of hearts of different colored construction paper for a 3D string of hearts. Fold hearts in half and glue to each other, with the string in the middle. Help preschoolers make this Valentine Day card holder with paper plates and hearts. Kids can paint a clay pot and glue on hearts to make a Valentine’s Day party pot that can hold napkins or sweet treats. Great Valentine crafts here include a craft foam heart necklace, candy flowers, and a Valentine flower. Make a Mr. or Mrs. Valentine by putting a face on a heart and adding arms and legs. Make this Norwegian heart basket by interweaving hearts in two different colors. Cut out a bookmark shape and punch it, draw on it, cover it with stickers or glue on cut-outs. Use pipe cleaners and tri-beads to make tri-bead hearts. Make a Love Bug Valentine’s Day Card with felt, cardstock, ribbon and a wood angel shape. Easy Valentine crafts include: a candle, clay card, bookmarks, a bouquet and a photo frame. Try these preschool Valentine Day crafts. Use a heart shaped cookie cutter and salt dough to make this easy salt dough Valentine picture frame – perfect for a photo of the picture frame creator. To make glitter Valentine frame, use a craft foam heart with the center cut out. Glue rhinestones on and add glitter glue. Add a photo last. Make salt dough and Mod Podge hearts with a heart cookie cutter and salt dough. Cut heart shapes in the dough and finish with Mod Podge and lots of glitter! Make lots of hearts in all colors and sizes and use them to create heart shaped animals. 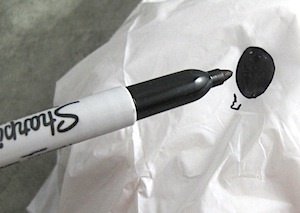 Decorate an envelope with paper, stickers, and markers, and write the recipient’s name on it. 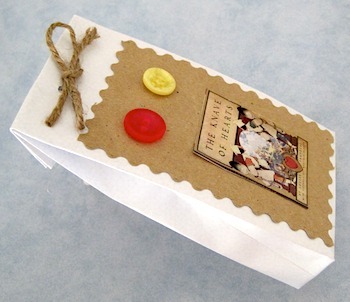 Add a small notepad and pencil to each envelope for homemade Valentines for friends. To make a popsicle stick heart magnet, cut the ends of a popsicle stick at an angle and glue together, overlapping them. Paint and decorate before adding magnet to the back. Help your preschoolers have fun with these preschool Valentine Day crafts.